Intuitive and powerful HTML5 platform optimized to deliver high performance, reliability and speed across all browsers. The platform is empowered with MAM and IB capabilities. 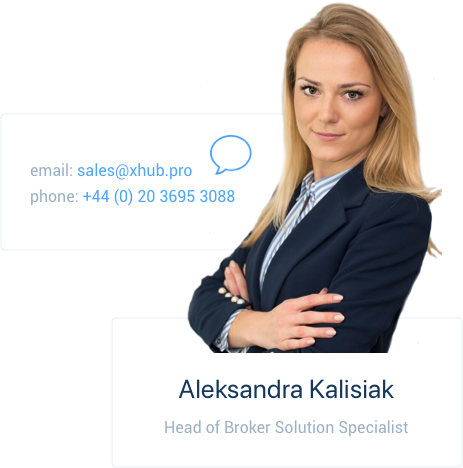 Intuitive and powerful back office system with complex options including: EMIR and MiFID reporting packages. Custom settings on group and individual account level. Set exposure limits by client, client group or instrument. Our proprietary xAPI is meticulously optimized, resulting in the lowest latency and highest throughput API available on the market. MT4 and MT5 bridge and gateway solutions included. Request an access to our XOH Trader platform and test-drive our customized trading environment for 1 month.